You are currently browsing the category archive for the ‘Thoughts on Art’ category. I’ve been reading John Ortberg’s book “The Life You’ve Always Wanted”. Many things in this book have resonated with me. Most recently the chapter, A Life of Endurance, as he discusses perseverance. Isn’t this the simplest, most concise statement that conveys such a powerful message? 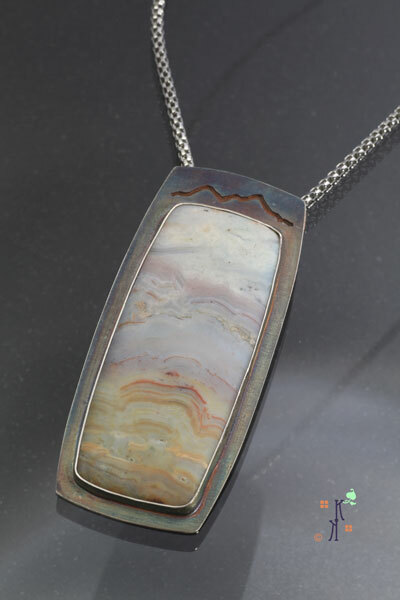 I started my journey in metalsmithing as a mature adult, not someone in their teens who went off to get a degree in fine arts or other related metal work curricula. Yet, my passion with this art form, to quote Steve Martin, is “To become so good they can’t ignore you”. Perseverance is one of the key elements in making that happen. For the past month, I have had obligations requiring that I spend time away from my studio. Now it is time that I can return and I truly thirst for the positive energy I find in my creative space. I have so many new ideas, preparations for upcoming events and demands for new work at locations where I am represented. I find joy in all of that. Here’s a sample of some of the things I’m currently doing. The driving force for me is perseverance to become better each day at this craft that I love. It requires practice, determination and desire. As I return to the bench, this is my focus. Every day is a new beginning, a fresh start, a chance for growth and unexpected opportunities. I want to encourage you to embrace each day with all the possibilities it holds for you. Please don’t limit yourself to the mindset that at the start of a new year, you have the chance to effect change in your life because you can take positive steps every single day! I want to share something I recently read from Dr Wayne Dyer’s A New Way of Thinking, a New Way of Being. Waste no opportunities. This is called following the light. 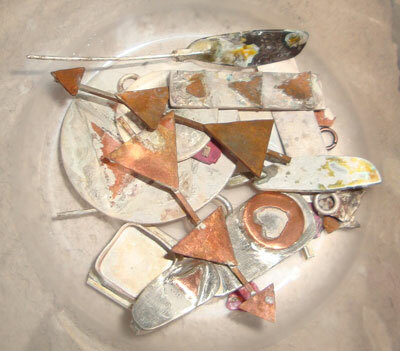 Several years ago when I was just starting my journey as a metalsmith, I attended one of the Colorado Metalsmith’s conferences. I wasn’t completely sure why I should attend the conference, but it was an opportunity for me to hear some prominent artists. 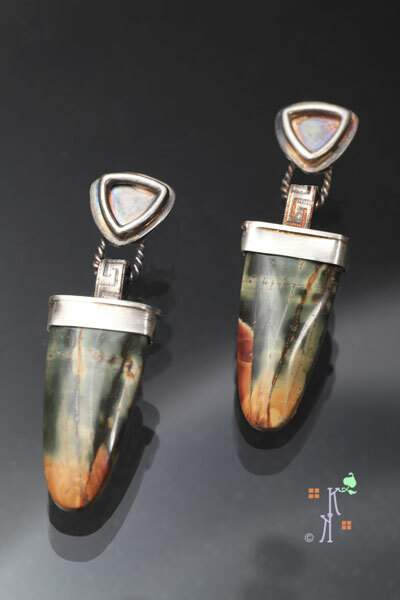 One of the conference speakers was an extremely gifted metalsmith, Judith Kaufman. I was in awe of her work, her talent and her process. I still am. Judith shared how she got started. She was only 13 or 14, and she recalled how she used to sit at the bench and just play with putting components together. I was in awe. How could she do that and come up with such gorgeous creations? 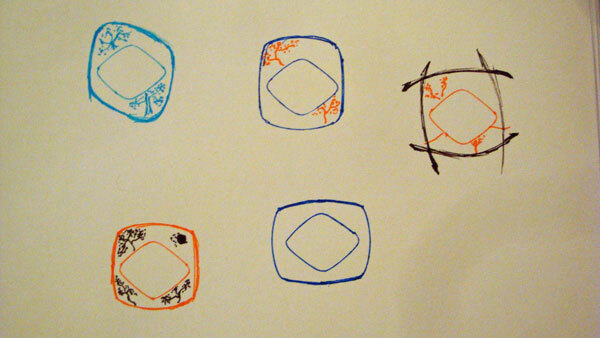 At that time, I was still dutifully sketching my designs, too afraid to try anything without a design. Hindsight is 20/20 and now I realized I was frozen by my own fear. I listened, took some photos of her speaking and others of the slides she used in her presentation. She shared the quote by Isamu Noguchi in the picture above. It puzzled me. Again, I had self-imposed constraints on my art and was limiting my potential to create what was really in my soul. Now I get it. It takes time. Some grow faster than others. That’s ok, remember….a new day, another opportunity for growth! So 2017 has arrived. Toward the last week of 2016, I was sitting at my bench, playing with components I had made. I was putting pieces together without designs in mind; check out the photo of my bench block at the top of this post. Initially, I wasn’t really aware of what I was doing. All of a sudden it hit me. How freeing and exhilarating. And then I remembered this is what Judith did and continues to do. Ok, that’s brilliant. Oh yes, and so much fun to play during the act of creating something beautiful….child-like in some ways. I believe I’m following the light. It’s such a rush. Just let the creativity flow. That’s why it’s so important to just spend 5 minutes a day in your studio. Those 5 minutes can turn into something truly magical in what you are called to create. Yes it’s a new year. Remember this, every day you wake, you are given a new opportunity to bring about positive change in your life. Please don’t limit yourself. Let go of that fear. Follow the light. Live! Last week, I saw this quote with the associated image and it hit me like a ton of bricks. I absolutely have to be creative. I have done something art-like all my life, from childhood with coloring books and dressing up paper dolls, to a young adult learning about sewing and knitting. As the years have gone by, I have tried my hand at tole painting, stained and fused glass work. 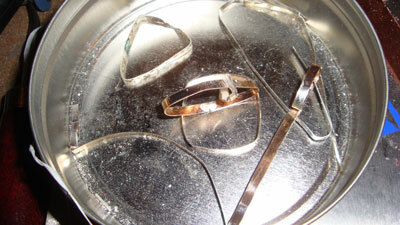 Now, I find great pleasure exploring the many avenues of metalwork that go into the creation of my art jewelry. I absolutely know I am at my happiest when I’m creating. I work full time in the corporate world, managing to make time for my art during any spare cycles I find. Last week, it became clear to me that I have been unconsciously finding ways to be creative and inject art into my work as a software developer too. Being creative is an integral, vital part of who I am. Why am I writing about this? Because I continue to meet people who tell me they are not creative, including some dear friends, and it hurts to think they are denying their artistic side. It is my firm belief that every one of us possesses some creative talent. As children it is easy to engage with the artistic spirit within. We seem to be so free to let our imaginations run wild. As we grow, it seems like exterior forces start to subdue those moments of freedom. I was fortunate, my mother encouraged my exploration and pursuit of being creative. I do think that when someone calls art work a hobby, they don’t really mean to diminish its value….they more than likely are denying their own inner artist. Break free of self-imposed restrictions. Maybe you are not the next Rembrandt, Michelangelo or Picasso. But I know this, you have a talent or a knack for something. It may be how you raise your children, care for your home, prepare meals, train for an event, interact with people….those are talents, gifts that are unique to you. Embrace them. Nourish them. Watch them grow. Challenge yourself to do one thing that puts you outside of your comfort zone. When you do that, you may not succeed at first, but something wonderful will start to happen. Enroll in that class to learn something you’ve always wanted to do. Try something new. Just do it. The rewards can be unexpected and quite pleasant. I’ve been trying some new things in the studio. Some are successful, some are failures. No matter what the end result, I’ve learned something. It’s wonderful. 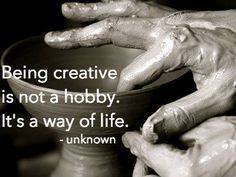 Dig deep if you have to in order to find your own creative spirit, embrace it wholeheartedly and nourish it. Stand back and which it flourish. Until next time, aspire to be more as a person and an artist. Isn’t this stone beautiful? It is an Ocean Picture Jasper that I purchased from Gary B Wilson last year. The colors are not part of my normal color palette, yet it was very hard for me to resist. Part of what drew me to this stone was the beautiful landscape I saw in the stone; softly muted….yet, the closer I looked at it, I saw high, fluffy white clouds, a distant mountain range with a calm lake and sandy shore line. A very serene and tranquil setting. Set in sterling silver, I kept the design very simple to showcase the stone. The outline of the mountains is replicated at the top of the setting. To add to the depth of the mountain outline, I have a copper overlay on the back of the piece. I couldn’t have asked for a better patina result as it became a deep purple, navy blue…perfect for giving the impression of a sky. To preserve the patina, this time I applied a light matte lacquer (prior to setting the stone), rather than using Renaissance Wax. This pendant is another one in my series of experiments. I am finding such joy in trying a tweak here and there, gently nudging myself in another direction that I may just put all of these in a series called Be Joyful. Yes, I know, a series should have like elements and show a particular pattern. But why not be different and go on the emotion they generate? I’ve never been one who colored inside the lines, so why stick with the traditional thoughts about a series? Just my take on the series subject. I hope all of you are enjoying this wonderful day and finding ways to experiment and explore your creativity! Sometimes I find that the simplicity in a design is all that is needed for the piece to make a real statement. The stone in this ring is one I bought from Gary B Wilson. A deep, rich purple in this particular Tiffany Stone. It’s the first ring I’ve made where I’ve set a stone. One of the things I am discovering is when I go into my studio and have no idea what I want to make next, I start looking at my stones and pulling a few out as possibilities. This particular stone has been in and out of my stone boxes as I deliberated. Sometimes I thought about making a pendant with this one, another time it seemed like something at would work in a bracelet with the right combination of other stones. But, nothing ever clicked. A little over a month ago, I was in one of those moods, and started pulling stones. Of course, this one made it to the ‘pondering tray’. I also had rings on my mind and had a few pieces of decorative wire on the work bench. Then it clicked. Something simple. The stone would speak for itself. The metal that would showcase it would be simple, understated. The pattern on the top band is a classic Greek design. I’ve used it for bails and other decorative elements. 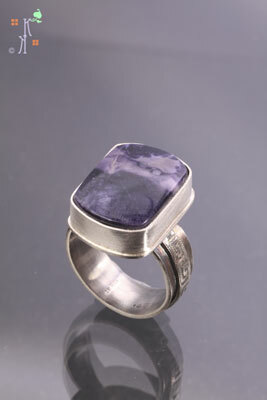 On this particular day I wanted to overlay it on a piece of silver and then set this beautiful stone. It just came together. No sketches, none were really needed. It was just the fun of picking out a few bits and pieces and visualizing them coming together to make this ring. Based on the end result, I know I will continue with my creative exercise of what if I put this and this together? Have any of you done this? I’d love to hear your thoughts. It’s that time of year again. A number of my fellow artist bloggers, such as Lori Landis & Wendy Edsall-Kerwin, are reviewing what was accomplished in 2011 and what they plan to do in 2012. I find myself in the same place; reflecting on 2011, thinking about 2012. This has been a difficult post for me to write. In part, I think, because it requires self-evaluation. At the end of 2010, I wrote a post about my thoughts and feelings as 2011 drew near. What is it about a new year? The anticipation of what lies ahead? A clean slate? A chance to improve? I think there are many answers. Now 2011 draws to a close and I find myself reflecting on the events that took place this year. In 2011, my plan was to be fully engaged in all aspects of my life. That was my personal mantra whenever I needed that extra push. This concept of a personal word or phrase is something Christine Kane introduced in her blog, which I started following several years ago. For 2012, I have chosen adaptability as my personal word. I selected the word, adaptability, because this year taught me that being fully engaged may not be the best course…at least not for me. I found I took on too many things and as a result, some of the joy I find in what I do got lost. At times, I started to feel a bit robotic; I was just going through the motions. Time blurred. Summer was gone and I don’t remember enjoying it. Connections felt lost or distant. Life was passing by and I was missing out on too many things. Going forward, I knew things had to change. This year taught me many valuable lessons. In that learning process, I found I needed to change how I was juggling all my tasks. I think it is important to adapt and make changes to pursue what works. Recognize what doesn’t work and let go of it. The ability to respond effectively to the inevitability of change is both desirable and necessary. Adaptability helps to ensure our happiness and well-being. When I think about evolution, the importance of being adaptable to ones surroundings is paramount. The alternative can be extinction. I see adaptation as one way to avoid being stagnant. I am thankful for all the learning experiences I had this year. I gained so much from them. From the shows, I found a new gallery and several holiday markets. I gained insight and understanding about where I want to take my business in the coming year. So how does this apply to my work? That’s easy! I’ve begun a new series that I call Treescapes. I feel I’ve just touched the tip of the iceburg with this one. I have more ideas for the evolution of my Arts & Crafts Impression series. I’ve already started to adapt and modify my business plan for 2012. A few more galleries, a few less shows. You see, the ability to adapt leads to necessary changes and growth for me. As part of that new mantra, I’ve just redesigned my website. A new look, for a new year and a new vision. What word or phrase do you feel will help you in 2012? I hope you will share your thoughts. May 2012 bring adaptability, light and love to all of us. 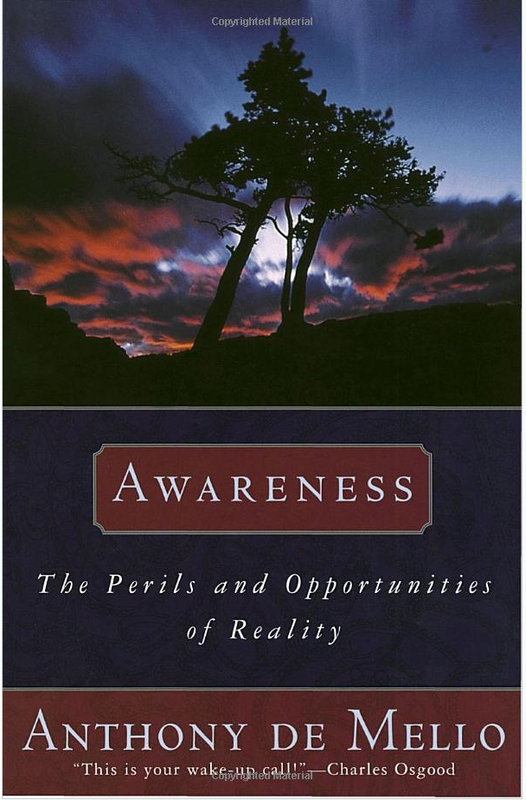 “Awareness” by Anthony deMello is a book that I read over 10 years ago. It has left a lasting impression. One of the most important things this book did for me was make me aware of the very negative emotion, fear. Mr. deMello discusses how to recognize the signs that fear is trying to take over your decision making. As far as I am concerned, fear is one of the most insidious emotions. Decisions based on or out of fear are the worse ones anyone can make. This book came to me at a time in my life where I could have easily made some horrific decisions had I done so out of fear. Thanks to the information in this book, I have an awareness that allows me to recognize when fear is trying to influence what I want to do. Today I want to discuss how fear can block your creativity. The fear of failure can and does stall us in our creative explorations. Yet I have found that failures lead the way to successes. Let me show you some examples. Variety of soldering experiments and failures. These sad little gems are in my scrap pile. Things that seemed like a good idea on paper, but in reality, not so much. Some are soldering mistakes. Some are designs that just didn’t work. I just kept trying things, not letting the fear of failure stop me in my tracks. The dreaded melted bezel. Some can be salvaged. It’s just one of those discouraging thumps to the head when it happens. Does it stop me from continuing? No. Some days I just know I need to take a break, turn off the torch & the pickle pot, close the door to the studio and come back another day. The important thing is to come back and try again another day. I persisted, in spite of those failures, that could have very easily taken me down the path of fearing I just can’t go any further. Determination is one of my key success factors when battling the fear of failure. If it was easy, anyone could do it, right? I believe my persistence paid off. Elements is a new series I haven’t discussed much in my blog. Here’s one of the examples from the series. 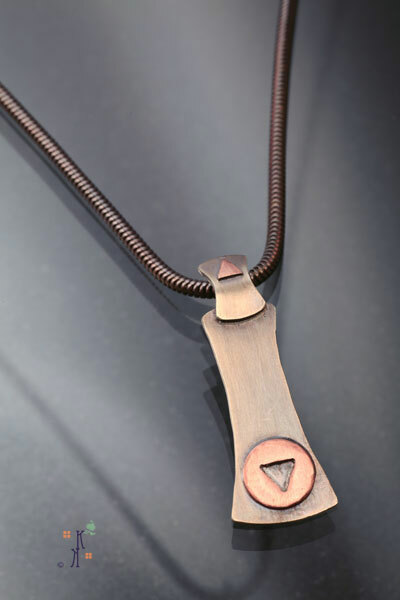 Those little triangle shapes in my soldering experiment photo show that persistence with that idea finally paid off with this pendant. Veracity is another new series for me this year. Putting a bezel around a heart shape can be tricky, but I found a way that works well and have had so much fun with these heart shapes now. Well worth the initial struggles. You see, all those failed attempts eventually led me to something that worked. The key, I didn’t give up. I kept trying. I refused to be afraid to try something else. I’ll admit that this year I explored many avenues for new works. Initially, I know I was blocked by a fear of failure. Once I realize that fear is trying to play a role in what I want to accomplish, I literally relax and block it. That step, in and of itself, is freeing. I am able to just go forward, know that I may and will make mistakes as I’ve shown here. Yet when I keep trying, something wonderful is waiting for me. In a sense, it’s like that story about the optimistic child who is presented with a room full of horse manure. He excitedly exclaims, there must be a pony in here! We need to seek the positive. Ignore negativity and adversity, they are fear’s companions. Their role is to bring us down. Please don’t let them. Why this post? I want all of you to look FEAR in the eye and stare it down. Become Aware of it and what it tries to do to you. Don’t let it beat you. Overcome it. FEAR is powerful and strong. It will rule anyone who succumbs to it. The mere fact that you can recognize it, be aware of it, when it rears its ugly head, puts you on the road to success, new ideas, being creative, tapping into the creative channel that is there waiting for you. 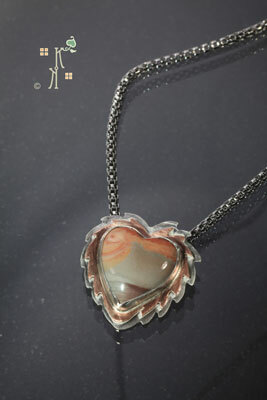 Several weeks ago, I was approached to create a piece as a gift for someone who had purchased some of my art jewelry. The people who approached me, knew that this person loved what I did and they wanted to give her a special gift for Bosses Day. I was given free reign to create whatever I liked, because they said I knew what she liked. I was delighted and it was so refreshing to just approach a commission with no restrictions. I knew that my new Tree-Scapes series would be the right direction. The sweet little stone in this pendant is a Chrysoprase that I had purchased from Gary B. Wilson. It seemed to call to me the loudest of any I had for this piece, so I started sketching as you can see from the photo. I find I keep returning to variations on this shape as I did in Evening Moon….only with Evening Moon, that backdrop was long and slender. As I am prone to do, I asked Dan his opinion and he was drawn to the more Oriental shape in the upper right of the sketches pictured. Me too, BUT I was a little concerned with how I would fabricate this piece. Well, as I proceeded, it just came together. Again, I see imagery in the stone. There is a solitary tree with a mountain as a backdrop. I was going to carry the mountain into the setting too, but as I worked on it that did not seem right. So a few tree trunks, some leaves and the frame. 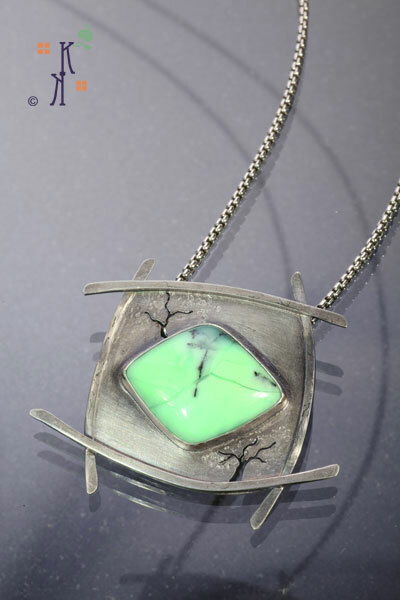 All in sterling silver that has been oxidized to emphasize the details in the metalwork and showcase the stone. I was so happy with this piece that I knew its recipient would be too. I can report she loves it and has since told me it is one of her favorites. As an added affirmation, the people who gave this to her have told me that she wears it almost every day. Wow. You just never know when creativity will strike! Trying to force it to happen, really doesn’t work. Having the freedom to explore definitely helps. I am so grateful I can solicit a second opinion from Dan when I’m not completely sure where I want to go. Relax and it will come. I have more to do with Tree-Scapes and I am looking forward to where the stones will lead me.